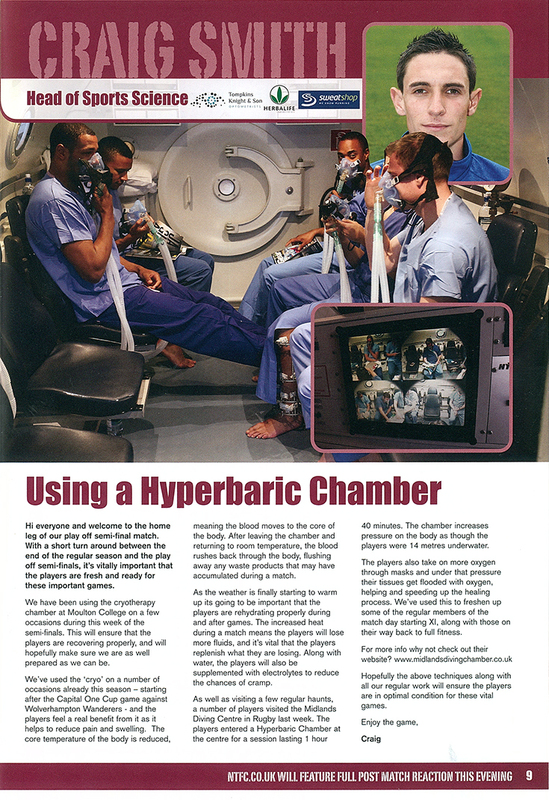 The Midlands Diving Chamber, a Hyperbaric decompression chamber offering NHS funded recompression to divers with Decompression Sickness (DCS) together with other Hyperbaric Oxygen Therapy (HBOT) treatments. 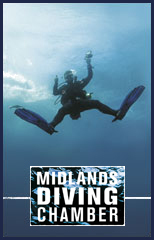 Midlands Diving Chamber specialises in Diving Medicine and provides a 24 hour centre with everything a diver could need from a medical facility. 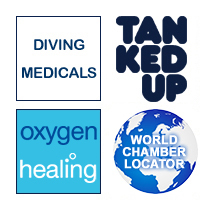 Find emergency diving services the world over with our database of hyperbaric chambers. NHS England's public consultations for hyperbaric oxygen therapy (HBOT) opened recently and includes a proposal to reduce the number of current chamber facilities from 10 to 8, with the closure of one London chamber and one in the South. Oxygen Healing for diabetes, as featured in the Daily Mail. The DMT app translates the 300 page Diver Medic Technician course manual into app form, utilising an intuitive navigation system to help the Diver Medic locate important information quickly. Now available on the iPad. Northampton Town will play Bradford City at Wembley this weekend for the right to be promoted to nPower League 1. In the run up to the big event some of the clubs players have been turning to hyperbaric oxygen therapy treatment at MDC to help get them to full fitness for the essential game on Saturday. See how the boys have been getting on in an article from last week's match day programme. Saracen powerhouse Brad Barritt talks to the Evening Standard about getting his HBOT (Hyperbaric Oxygen Therapy Treatment) at MDC's sister chamber in London (located in St John's Wood). Brad suffered an ankle injury in a recent game against Toulon and has since been striving to get back to full fitness with the aid of HBOT. LDC App - NEW Version now available on iPhone and Android. For those of you who haven't already downloaded the App; what are you waiting for? And for those of you who have; get updating, because we've added plenty more features! Featured in the Daily Mail Health section this week was an article promoting the work we do here with Oxygen Healing at the Midlands Diving Chamber, focusing on one of our own patients, Gwynneth Flowers. Great news for techno-geeks and bookworms alike: The Tanked Up Magazine iPad app is here and it's free. LDC and MDC are looking for enthusiastic doctors with an interest in diving and hyperbarics to join our busy team. A background in A and E, General Practice or Anaesthesia would be useful. For more information or to arrange a visit please contact us. The Medical Director of the London and Midlands Diving Chambers, the delectable Dr Oliver Firth, was asked to give his expert opinion to those insightful people at the Daily Mail on the 'Diver who Cheated Death' whilst working in the North Sea. The bible of dive medicine is here. 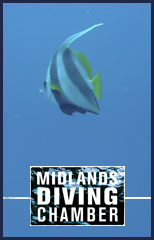 FAQ Dive Medicine is a new and invaluable book brought to you by the specialist doctors at the London and Midlands Diving Chambers and it is aimed at YOU, the diver. 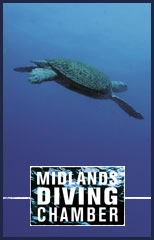 The last episode of BBC Three's 'The Secrets of Everything' sees self-confessed science geek and adrenaline junkie, Greg Foot, under pressure at the Midlands Diving Chamber as he and an inflatable friend attempt to dig to Australia. LDC and MDC are providing hyperbaric oxygen therapy to volunteers in a trial organised by the Royal Marsden Hospital, hoping to ameliorate the long term adverse effects of radiotherapy for pelvic cancer. For more information, have a look at the Royal Marsden Hospital trial details as well as this newspaper coverage. 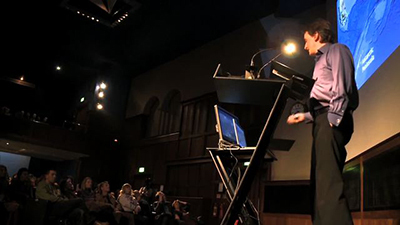 Video highlights are available from the eminently enjoyable 2011 Dive Lectures held at the Royal Geographical Society in March. A lemon shark has been kind enough to write a trip report about her dry-diving experience at MDC on the Yorkshire Divers forum. News story: working with people at mca - why i find my job interesting!